BRIDGE SF brings public, private, non-profit, and academic institutions together to drive innovation for a better tomorrow in cities. Organized in conjunction with the San Francisco Mayor’s Office and the University of California, Berkeley, City Innovate invites policymakers and leading innovators for a four-day event focused on citizen-critical issues. Topics among others are: Mobility in Cities (City of San Francisco, City Innovate and MIT Media Lab) City Planning Best Practices (University of California Berkeley and UI Labs Chicago) City Infrastructure of the Future: (ID3 and CivicMakers) Urban Sensors (City of Los Angeles and Kennedy School of Government, Harvard University) Global City Knowledge Transfer (U.S. Department of Commerce and National Resource Defense Council) The Digital Age of Manufacturing (City Innovate) Clean Energy (City of San Francisco and Intelligent City Forum) The full program of the event can be found here. An event brochure can be downloaded. Registration for the Bridge SF Summit here. 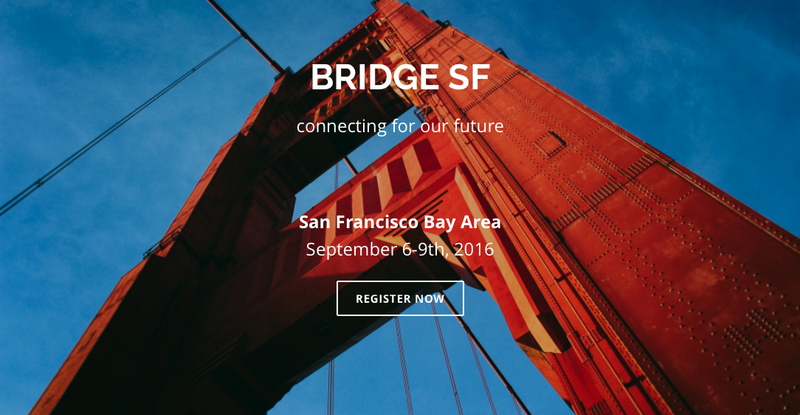 Looking forward to meeting you at the Bridge SF Summit 2016! The Swiss Fintech Association produced a video from the event at BlueLion Incubator, where the UBS Wealth Management Think Tank “UBS Y” kicked off their research into: “What currency will we use in the future?”. UBS Y explained their research methodology publicly for the first time that evening. And the guests attending got to use the methodology to give input to the New Currency Theme. This crowdsourcing approach resulted in over 50 inputs for the UBS Y team. A first digest of the evenings findings can be found here. Thank you Marcus Iofcea, Head of the UBS Y Think Tank, for sharing the unique way in which you look into the future of banking. Thanks to you John Hucker of the Swiss Fintech Association and to the team of BlueLion for organizing the event. 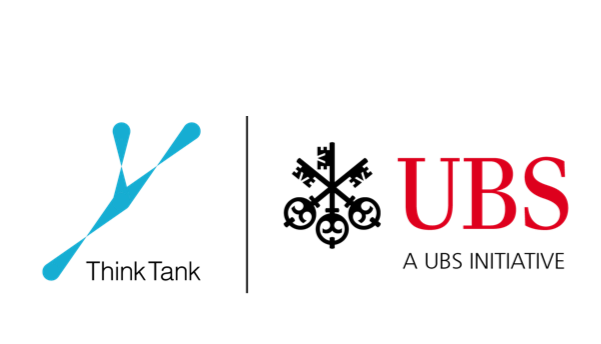 The UBS Y Think Tank invited the Zurich Fintech scene to BlueLion Incubator and shared their methodology publicly. Markus Iofcea, the head of the think tank introduced the purpose developed methodology how his team explores the needs of society in the 21st century. Two UBS Y researchers discussed their findings on the topics of “New Wealth” and “New Social Interactions”. Afterwards all participants were invited to practice the UBS Y Vision Cone methodology on the newly launched topic of “New Currency”. Here’s the result: It was impressive how this open crowd sourcing approach yielded lots of good input in no time! UBS Y has published a first analysis of the evening’s surprising results here. 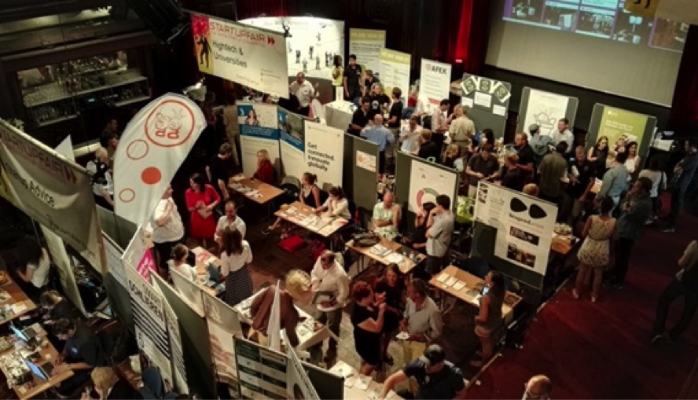 An der Messe für Start-ups haben sich vergangenen Donnerstag Jungunternehmer aus der ganzen Schweiz getroffen. 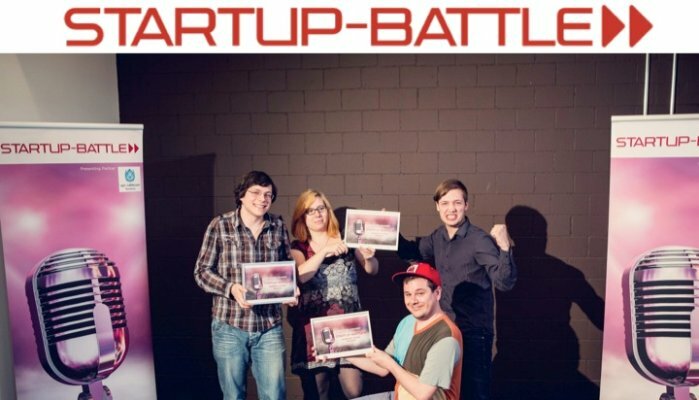 Swiss Startups are too modest – Startup-Battle to break the spell! 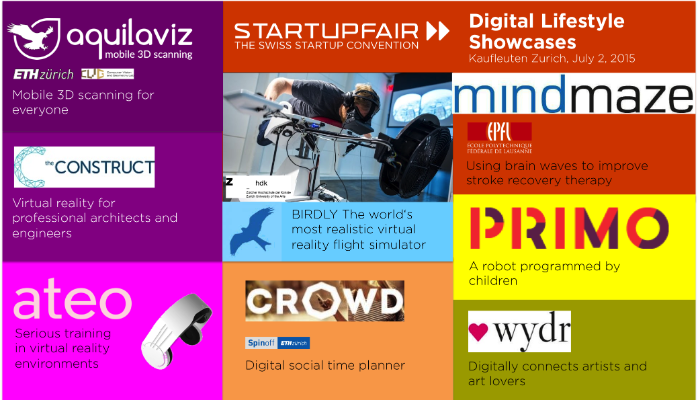 Corporate Innovation at Startup Speed. Necessary and becoming commonplace! By cooperating with startup companies, corporations can pursue more innovation projects at lower cost. BlueLion Incubatorfacilitates just that with its Corporate Innovation Partnering Program. Collaborations with startup companies can speed up corporate innovation, add flexibility, lower costs, and add a “go get it” culture for higher chances of success. First corporations are reaping the benefits of cooperating with startups. Cooperations between established companies and startups are becoming more commonplace, and the first best practices emerge. 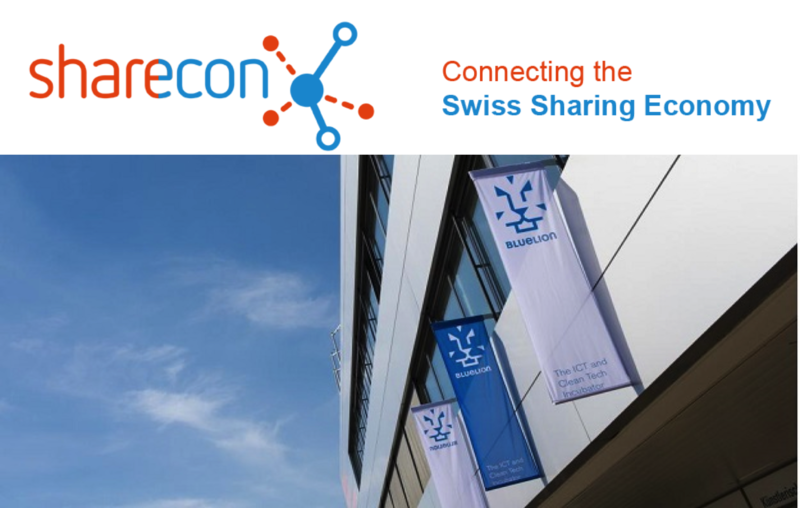 BlueLion is leading the way with a dedicated program to incubating corporate innovation projects, “the startup way”. 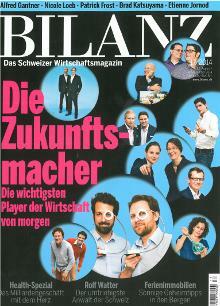 Find more information about the Corporate Innovation Partnering program atBlueLion Incubator or in this cover story of the 2014 Swiss Venture Guide.